Some of my regular blog series are on hold for another week while I re-organize Crochet Concupiscence. Don’t worry; they’ll be back! I’m just going through some organizational hiccups. One of the series that will return soon is my 50 Years of Crochet series, in which I’ve been looking (so far) at 1930s crochet. When it returns we’ll be looking at 1938 crochet but in the meantime I thought I’d roundup some of the best free 1930s crochet patterns available online. 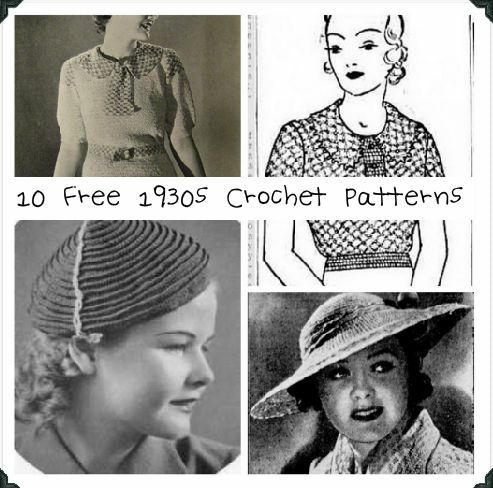 There are a lot of really great 1930s crochet hat patterns available free online. I’ll have to do a complete roundup of just vintage hat patterns one of these days. But we’ll kick it off with this 1931 crochet hat pattern published in The Western Mail. I love this detailed 1934 crochet sweater top with matching belt and ascot. This is a wool thread crochet jumper pattern from the mid-1930s. 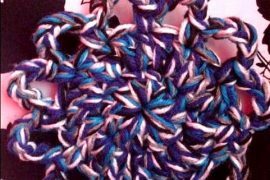 This 1930s newspaper article not only shares a crochet hat pattern but actually shares a tutorial for making crepe paper yarn to crochet the hat with! Filet crochet was popular in the 1930s. Here is a free vintage crochet pattern for a square that has springtime chicks for the design. This 1937 crochet pattern is for a bed jacket made of medallions. It was common around this time for patterns to be made of motifs and then adapted so that the same pattern could be used to make a variety of different items. I love the swirl design on this vintage crochet hat pattern from 1938. 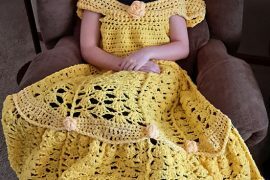 Sentimental Baby shared the free vintage crochet pattern for this 1930s dress jacket. The post also shares the vintage knit pattern for the gown beneath the jacket. 1930s newspapers often published free crochet patterns, like this tea cosy pattern. Want to see some great modern crochet tea cozies? Check out the work of artist Karin Kempf. 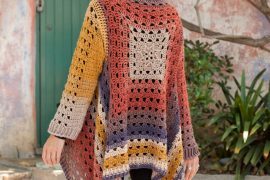 Remember that sometimes the language is a little bit different in those old crochet patterns than the patterns that we are used to. They often used British crochet terms rather than American crochet abbreviations. They’re fun to work, though, so just be patient and play with them! These are great! I love the swirl hat.